Activial (pictured, right) was one of the big market movers for the Cheltenham Festival following his victory in the Adonis Juvenile Hurdle on Saturday. His price was cut in half for the Triumph Hurdle which takes place on day four of the meeting next month. The former French recruit has only had two outings in the UK since moving to Harry Fry’s yard and his success in the Grade Two at Kempton was his first victory on British ground. Noel Fehily opted to be patient on his mount in the early stages of the 2m contest. Once the pair reached the second last hurdle though, they hit the front and were able to quicken away from the field. They eventually crossed the line over three lengths ahead of Commissioned who came home second, while Solar Impulse finished third. 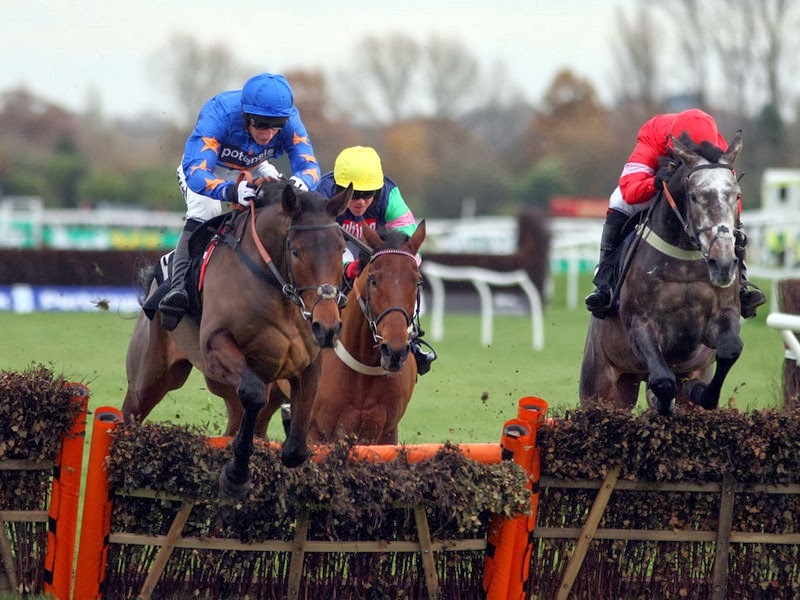 The novice could offer Fry his best chance of training a winning at the meeting next month. Activial’s victory also boosted the form of ante-post favourite Calipto for the Triumph Hurdle as he beat Fry’s runner back in November at Newbury. John Fergusson’s Commissioned will not feature at the Festival as his trainer is eyeing a shot at one of the races at the Grand National Meeting instead. His chances were not helped in the run in at Kempton as he hung left. He will now be given a rest until April. Third placed Solar Impulse is expected to run in the Fred Winter next month after Paul Nicholls was pleased with his effort. That was also only his second run in the UK. He improved on his debut fourth at Chepstow and connections are hoping there will be more to come from their horse with extra experience.